MMB HOT NEWS UPDATE- CHECK IT!!! : CHECK OUT THE BRAND NEW VIDEO JUST DROPPED! CHECK OUT THE BRAND NEW VIDEO JUST DROPPED! 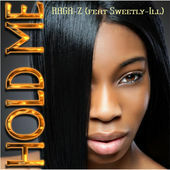 Sunday February 15, 2015 on SHYRICK DANCEHALL RADIO'S ( www.shyrick.com ) regularly scheduled program REGGAE SUNDAY , the brand new and very hot release of Sweetly-Ill (feat Raga-z) video. It is already getting some rave reviews . This is something you don't want to miss... hit play and enjoy!